Black forest is a very tasty protein bar, inspired by the favorite German cake. Great combination of cherries and chocolate glaze gives the product a unique taste and aroma. Protein and caffeine in its composition allow you not to experience hunger, and taurine helps control appetite and weight. 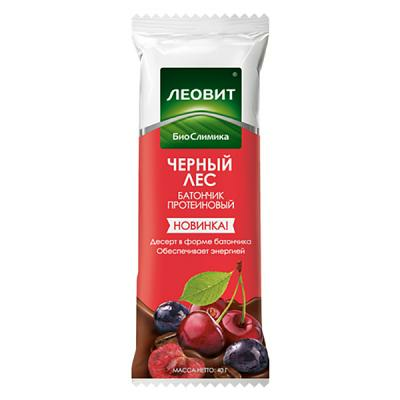 This protein bar is an excellent choice for those who seek to control appetite and body weight. Taurine promotes the control of appetite and weight; increased resistance of the body to great physical and mental stress. Caffeine eliminates the feeling of hunger; has a tonic effect.